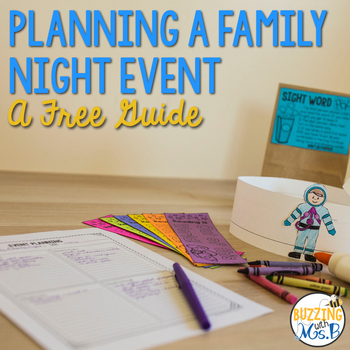 Are you planning your first family literacy night and you're feeling overwhelmed? 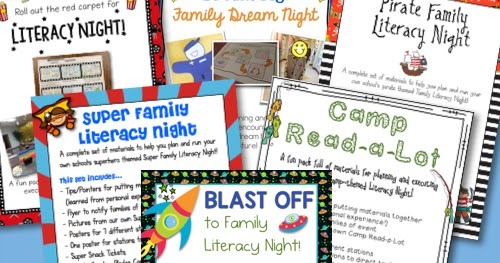 Or maybe you're planning your fifteenth family literacy night and you're tired of doing the same thing, year after year! Either way, this post is for you. I've got some fresh, fun ideas that will help you spice up your event and help your faculty, students, and their families have a special night full of literacy memories! 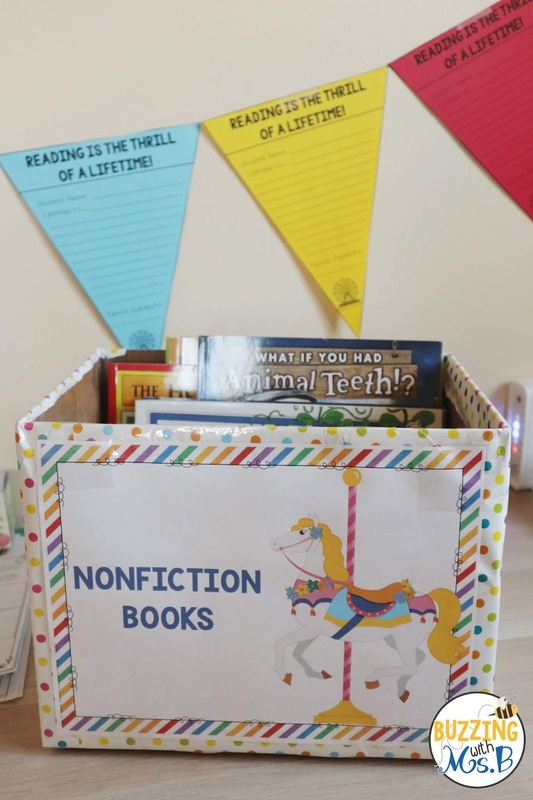 The theme of my latest Family Literacy Night? An amusement park! 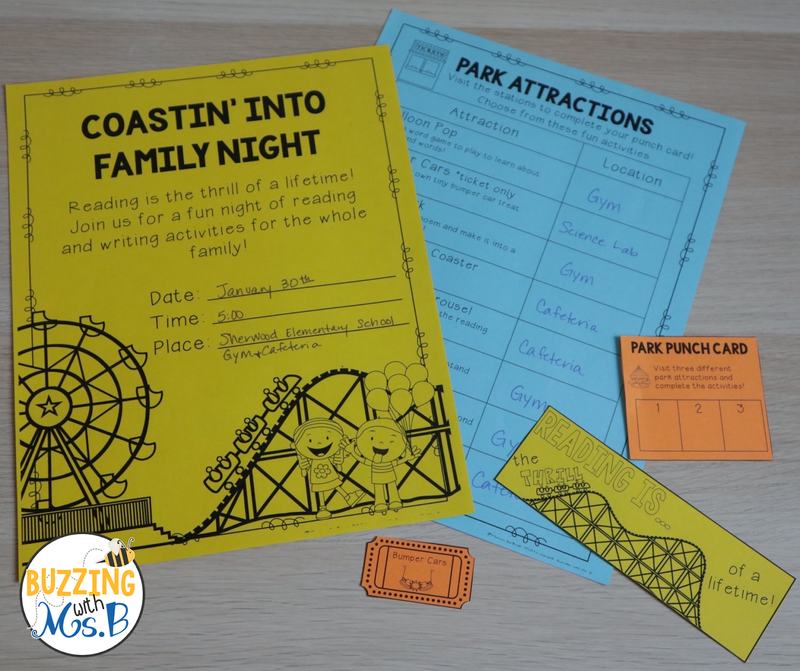 Amusement parks (or theme parks) have it all: excitement, suspense, terror, and lots of family bonding...just like a good book! Sometimes this varies, but that's the general structure! To get organized, I use a four-square planner: Need to Do, Need to Buy, Need to Copy, Need to Email. 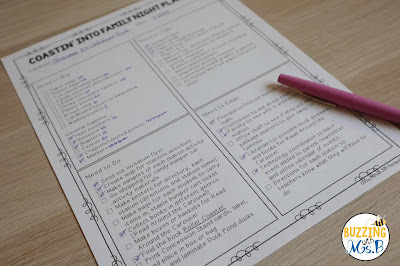 This helps me sort out the tons of tasks that have to be done and keeps me from going nuts... for the most part. 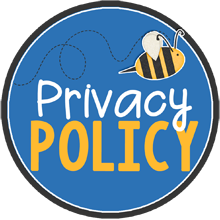 I send out the flyers to parents about two weeks before the event, have it announced over the loudspeaker and on the marquis, and then I often send out a half-sheet reminder the day before. Students and parents also complete a reading pledge. These are displayed in the hallway to remind students of their promise! 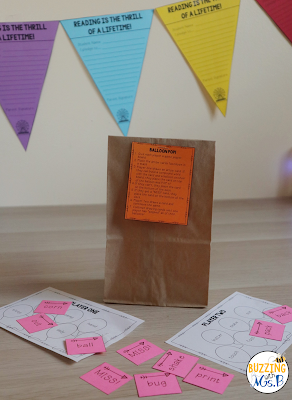 For this family night, I decided to do a fun flag bunting for the reading pledges! Here are the eight fun stations for this family night that help kids and parents share reading and writing experiences! 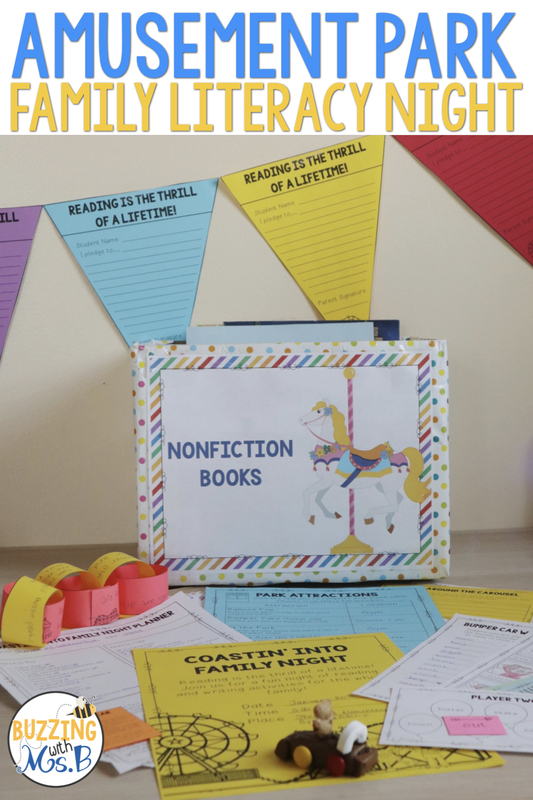 Students read books from different genres by moving from carousel horse to carousel horse. You can choose to have them record the titles they read or not! I can guarantee that this is one of the most memorable stations. 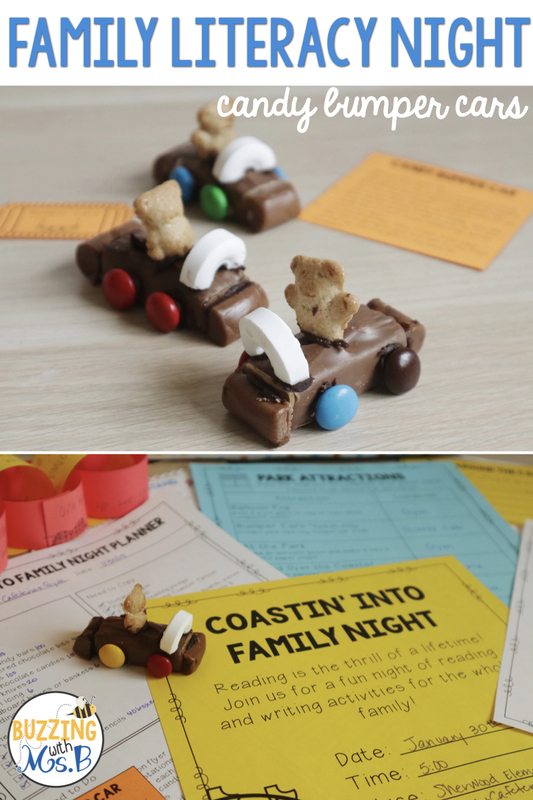 Kids use candy to build a tiny bumper car by following printed directions. Everything is edible, so when they're done, they can eat their tiny candy creation (which is really all they're concerned about). 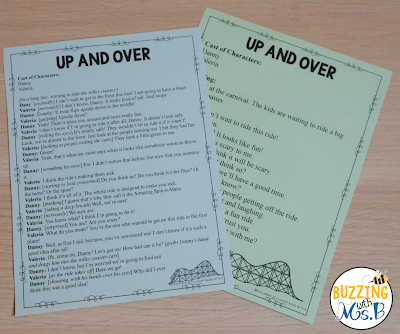 Then they brainstorm onomatopoeia to fill out a response sheet! Families always have fun doing this sort of an activity; it brings out the best ideas from the parents! Students build a fun compound words game to play with their parents. They can take it home, too, and play it again! 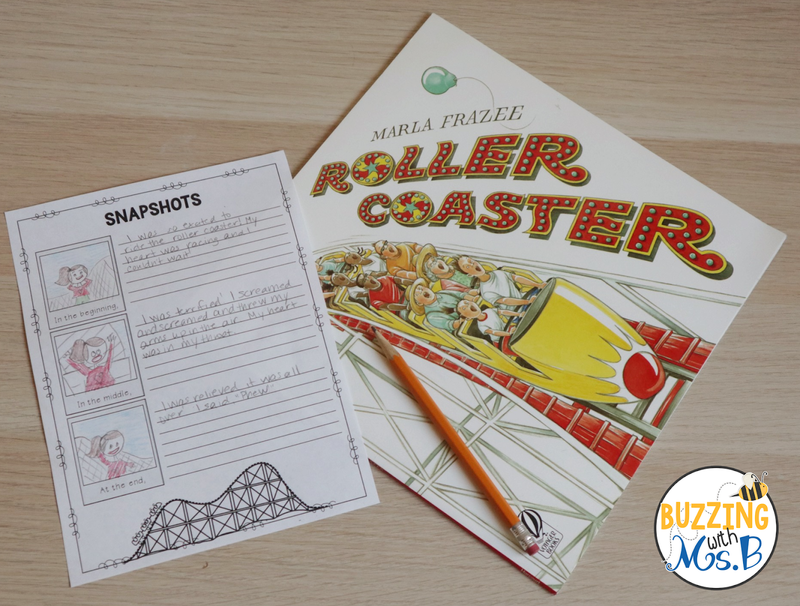 Kids write a short story about visiting an amusement park. 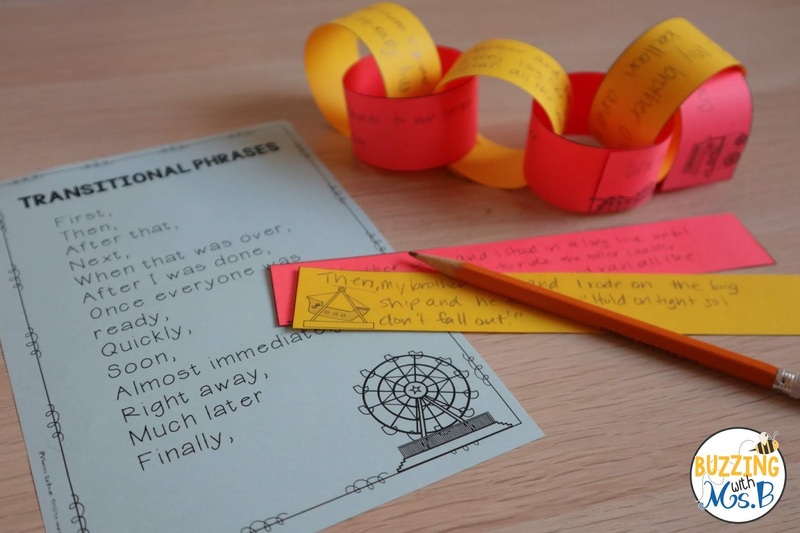 They write each event on a different strip and use it to build a sequential chain of events! 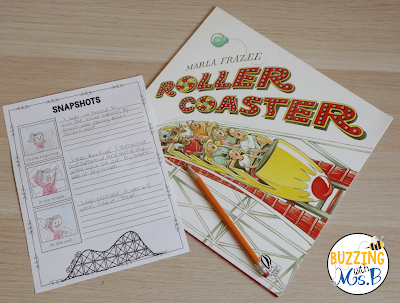 In this station, students listen to Roller Coaster by Marla Frazee and create three snapshots of them riding a roller coaster: in the beginning, in the middle, and at the end. Then they write about the way they felt at each point. For this activity, students draw a card from a bag full of concession stand snacks. 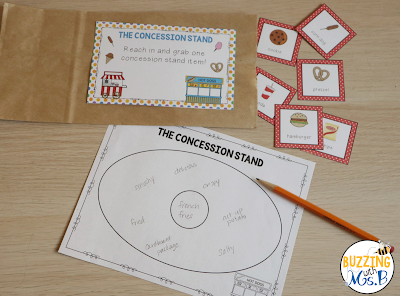 They use that snack to create a graphic organizer full of related words. Possibly my favorite station: kids and parents read a fun partner play together about riding a roller coaster! 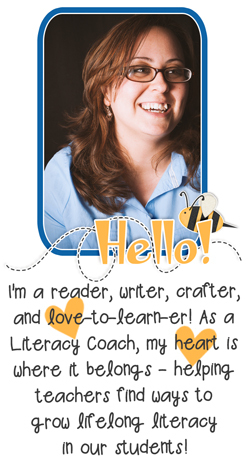 I find it best to provide two different levels of difficulty for different levels of readers. Ok, maybe this is my favorite station. 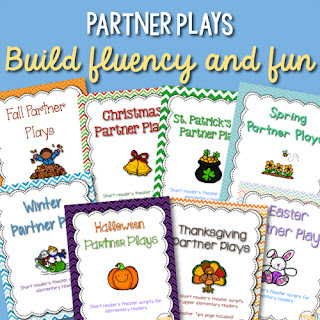 It's so much fun to watch kids play hands-on word games! There are two different versions for different levels of difficulty. 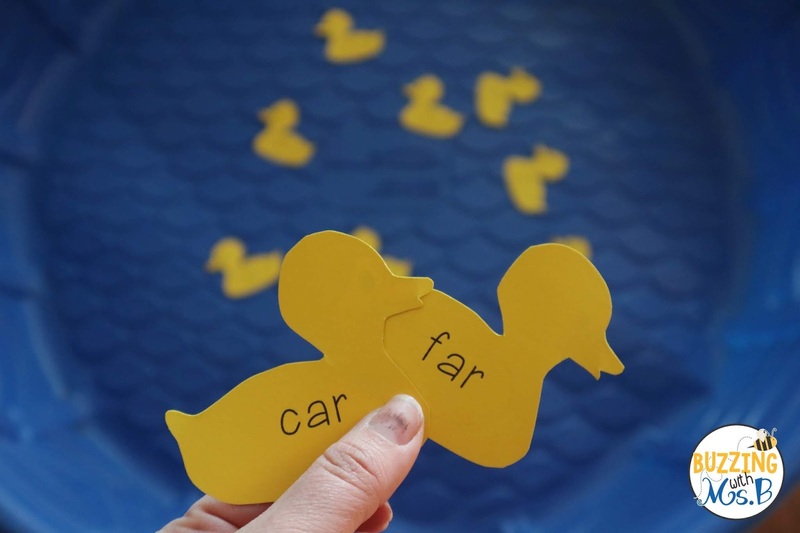 In the primary version, kids match rhyming words. 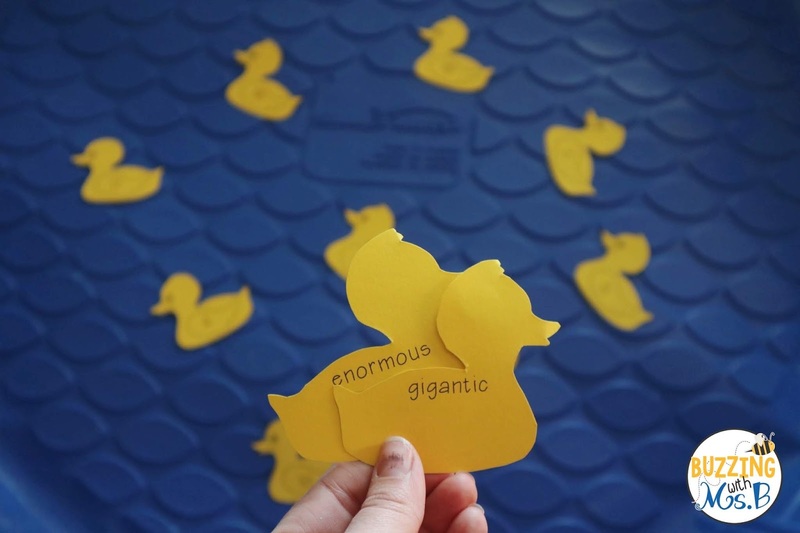 In the upper elementary version, they match synonyms! 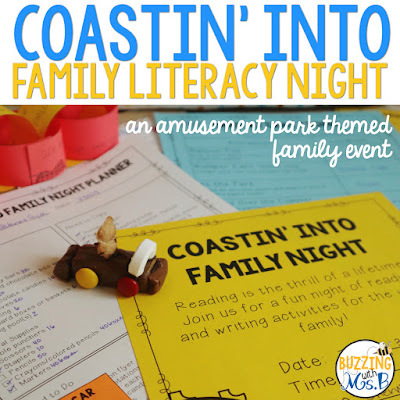 Are you planning a family literacy night? 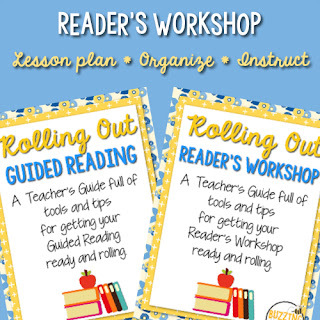 Grab a free how-to guide here! 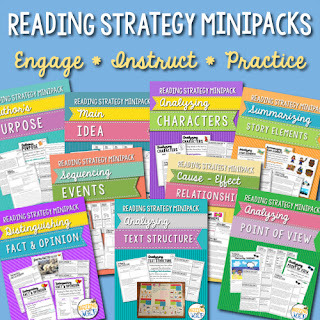 Want to get the complete, ready-made resource? 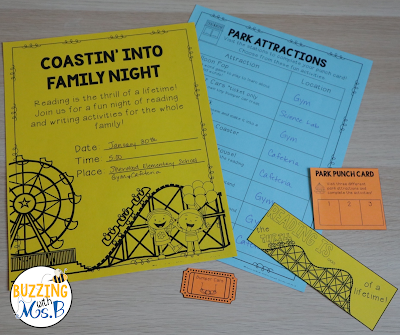 You can find my entire Coastin' into Family Literacy Night resource on TpT!